Keep plenty of fresh and frozen food in the Beko CFDL7914W 50/50 Fridge Freezer, featuring Freezer Guard technology and a chilled water dispenser among other great features. 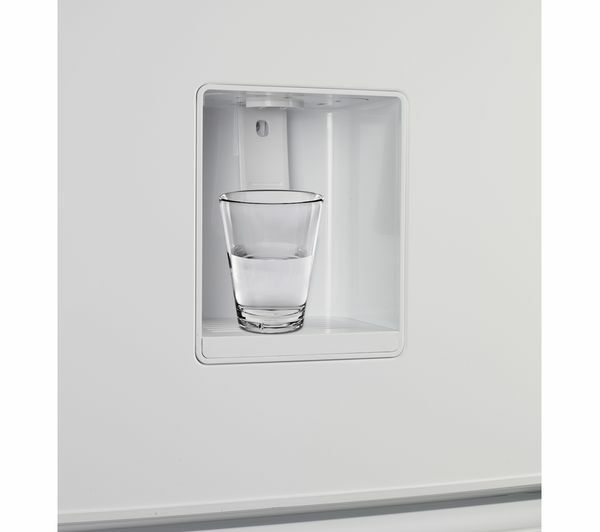 The Beko CFDL7914W houses a slimline in-door water tank that feeds the dispenser in the outer door – top it up as required and treat yourself to a cold glass of water when you really want one. The dispenser doesn't need to be plumbed, so you can position the fridge-freezer more conveniently. You won't have a problem getting your shopping into the CFDL7914W. 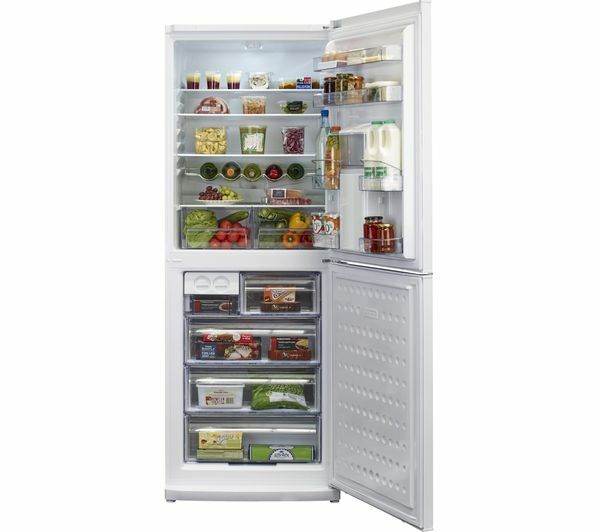 The 222 litre capacity in the fridge makes life simple, with three safety glass shelves and two salad crispers to keep your fruit and vegetables fresh and tasty. There's a half depth glass shelf that's ideal for storing tall bottles on the fridge shelf. Keep smaller items in the two handy door balconies – there's also an egg holder and chrome wine rack to keep things safe and neatly organised. The freezer offers four drawers to accommodate your frozen goods, with clear front panels to make checking on your food easy. Use the two twist-and-serve ice cube trays to make ice for your drinks. If you want to use the Beko CFDL7914W as a backup refrigerator or simply wish to save space in your house, it can be kept in a garage or similar outbuilding. Beko's clever Freezer Guard technology lets you position it anywhere in your home, keeping your food frozen even if outside temperatures drop as low as -15°C. Antibacterial door seals help to prevent bacteria from forming and contaminating the fridge. 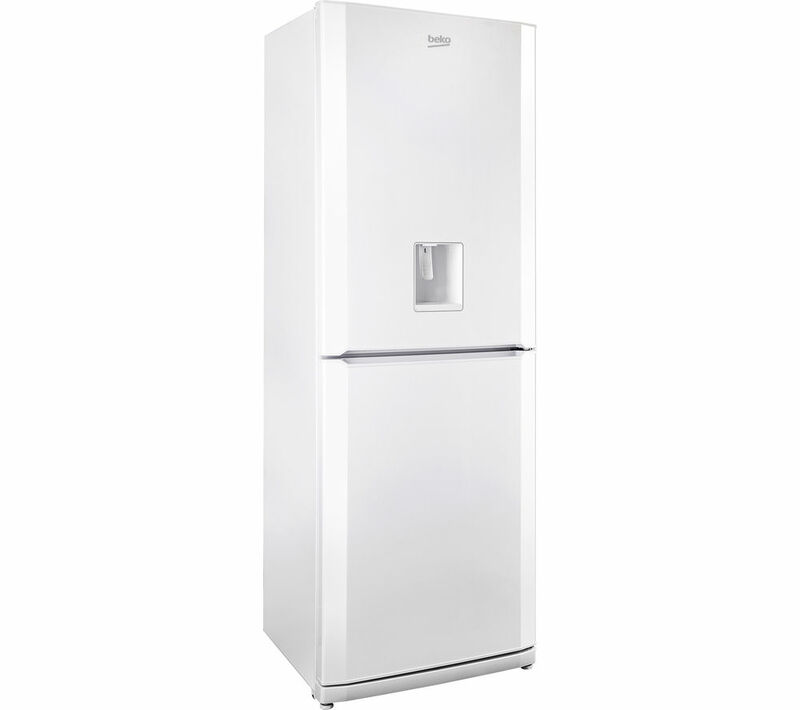 Choose the Beko CFDL7914W Fridge Freezer for a reliable and versatile family appliance. Use in outbuildings: Beko's Freezer Guard technology uses an electronic temperature control system ensuring the freezer carries on working even when ambient temperatures plummet as low as -15ºC.